More than 400 jobs available to veterans and their families. Farmingdale, NY - August 12, 2014 - Governor Andrew M. Cuomo today announced that the New York National Guard will host a Hiring Our Heroes Veterans' Job Fair at the Farmingdale Armed Forces Reserve Center on Thursday, August 14. More than 80 employers, offering more than 400 jobs to offer to veterans, military spouses and members of the National Guard and Reserve, will be on hand to meet with interested job applicants. 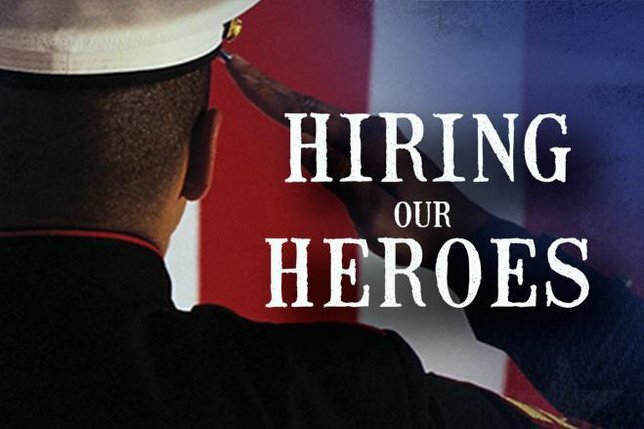 The Hiring Our Heroes Veterans’ Job Fair starts at 10 a.m. and will run until 1 p.m. In the morning, the U.S. Chamber of Commerce Foundation will conduct an employment workshop from 8:30 a.m. to 10 a.m. The employment workshop will consist of a classroom session followed by one-on-one mentoring sessions with human resources professionals for all pre-registered participants. Mentoring sessions focus on resume building, resume writing and interviewing techniques for all job-seeking veteran and service member participants. Representatives from the Veterans Administration will also be on site to assist veterans with any questions they have about benefits and health care. Registration and more information for the Job Fair can be found here. The Hiring Our Heroes Veterans’ Job Fair is one of a series of events being held across the country designed to match veterans, military spouses and Reserve and National Guard members with employers. Since its inception in 2011, more than 23,000 veterans and military spouses found jobs through the Hiring Our Heroes program, according to the U.S. Chamber of Commerce Foundation. The Fair is sponsored by the United States Chamber of Commerce Foundation, the Farmingdale Chamber of Commerce, the New York State Department of Labor, the Suffolk County Veterans Service Agency, the New York Committee for Employer Support of the Guard & Reserve (ESGR), the U. S. Department of Labor Veterans Employment and Training Service (DOL VETS), the U. S. Department of Veterans Affairs, Goodwill Industries International and The American Legion. The New York National Guard's Job Zone Program will be part of the Hiring Fair as well. The New York National Guard's Employment Initiative Program helps New York National Guard Soldiers and Airmen refine their resumes while providing them with information on employers who want to hire veterans and Guard members. The Job Zone staff also works to help employers understand the skill-sets that veterans and Guard Soldiers and Airmen bring to their businesses. Lights, Camera, Action! LI Film Expo Coming July 17-25 in Bellmore. Subject: LongIsland.com - Your Name sent you Article details of "Governor Cuomo Announces Hire Our Heroes Job Fair Coming to Long Island"